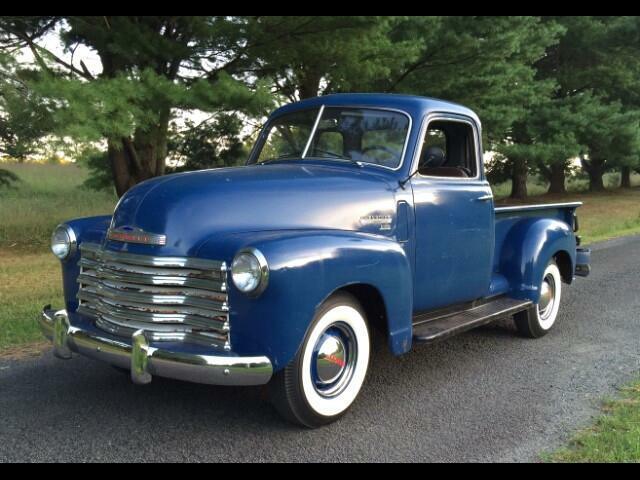 1950 Chevrolet 3100 short bed five window pick up. An excellent original example of a un-molested deluxe cab short bed with the five window option. Engine has been up-graded to a 235 cu in. Nice set of wide whitewall tires added, along with much new chrome. A super reliable driver.